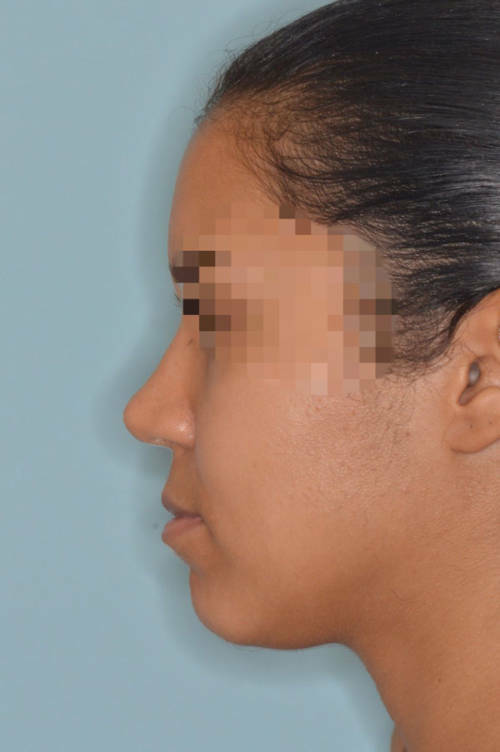 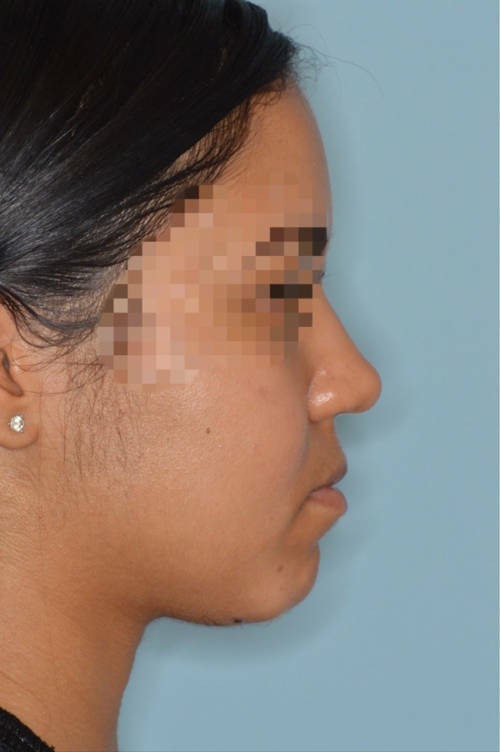 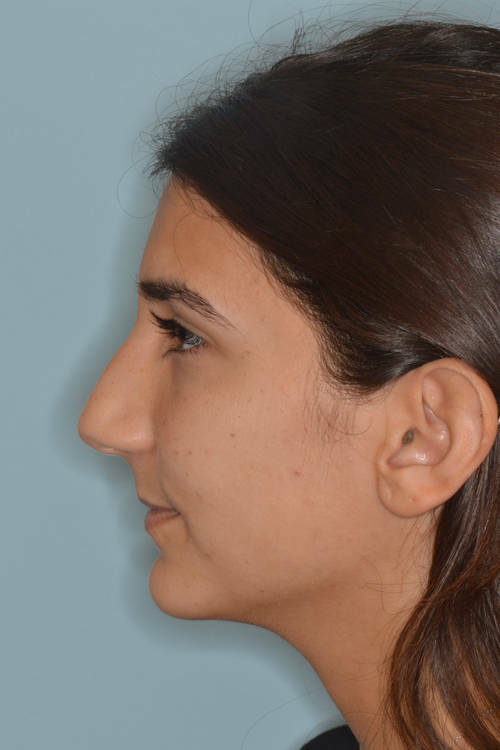 Female, Hispanic patient who desired to refine her nose by straightening the nose, refining the tip, and reducing the hump on the profile view. 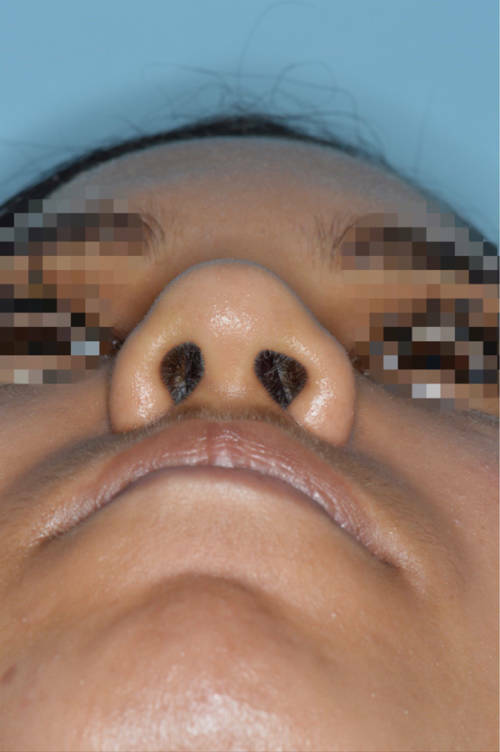 Primary rhinoplasty techniques included bilateral osteotomies, tip nasal skin de-fatting techniques, bilateral spreader grafts, septoplasty, caudal septal extension graft, and tip onlay graft. 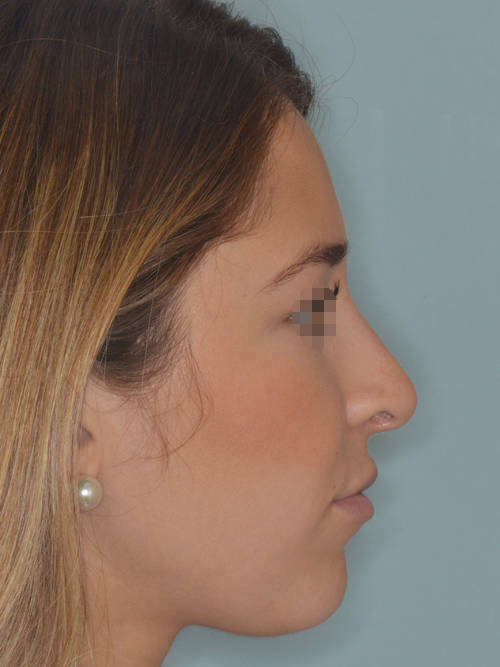 Patient with concerns of a droopy tip, hanging columella, and hump. 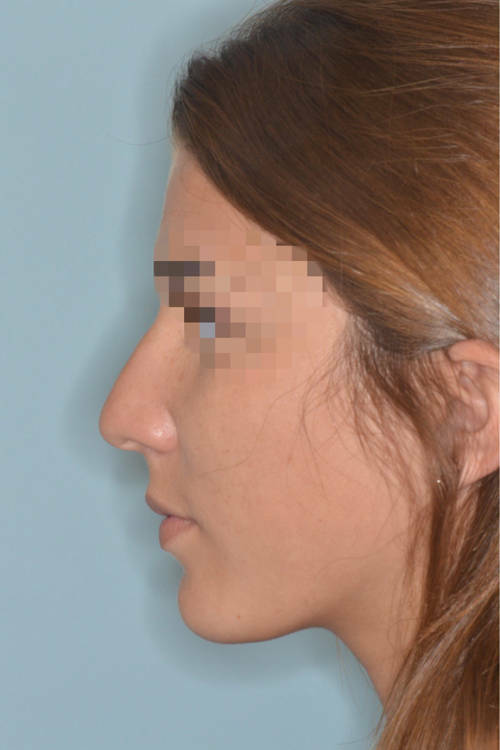 Primary rhinoplasty techniques included hump reduction, osteotomies, caudal septal extension graft and tip onlay graft. 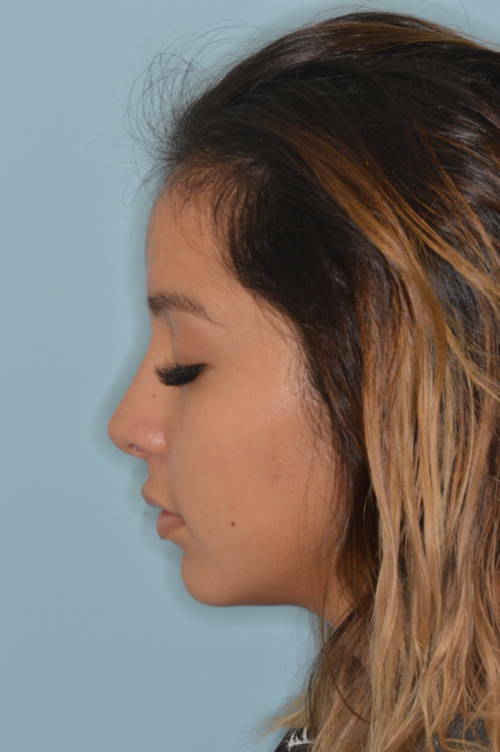 Before and after primary rhinoplasty for wide nose with bulbous tip and crooked appearance to the right side. 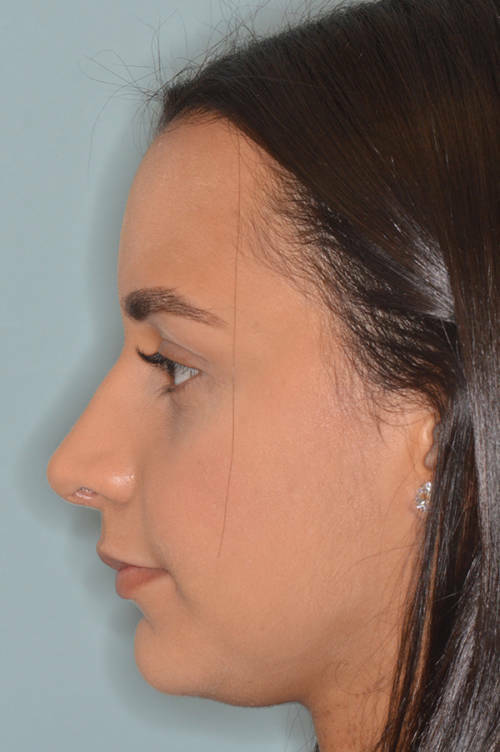 Primary rhinoplasty included osteotomies and bilateral spreader grafts with a “push/ pull” technique to help with the straightening of the nose. 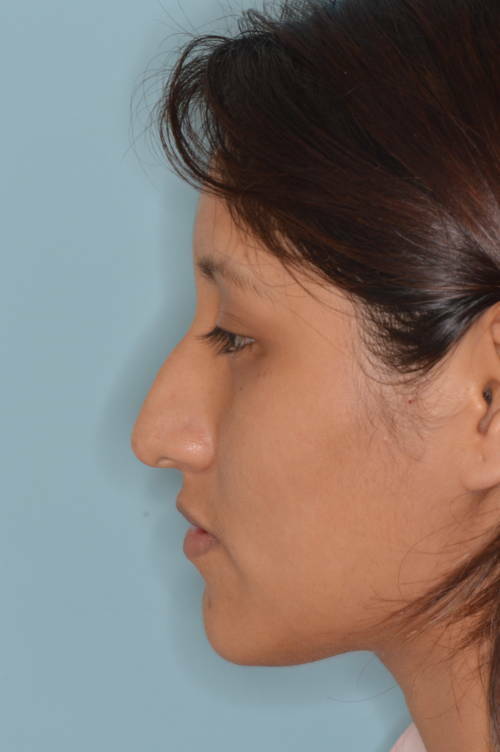 Crushed cartilage tip graft for tip refinement. 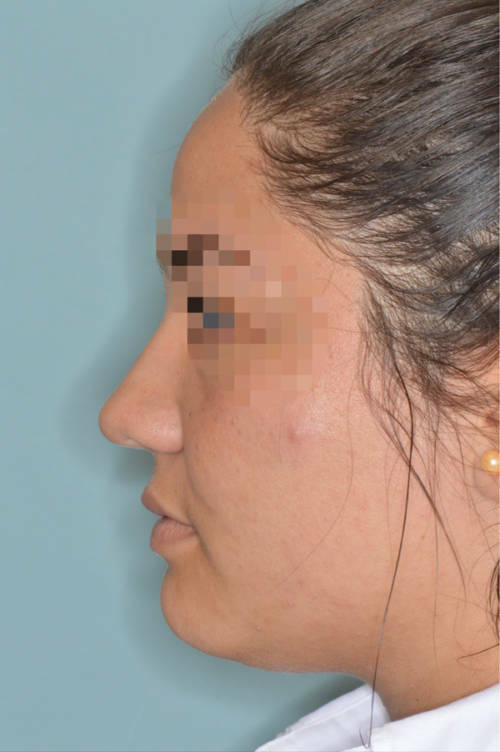 Female patient thicker nasal skin and wide tip who desires tip refinement. 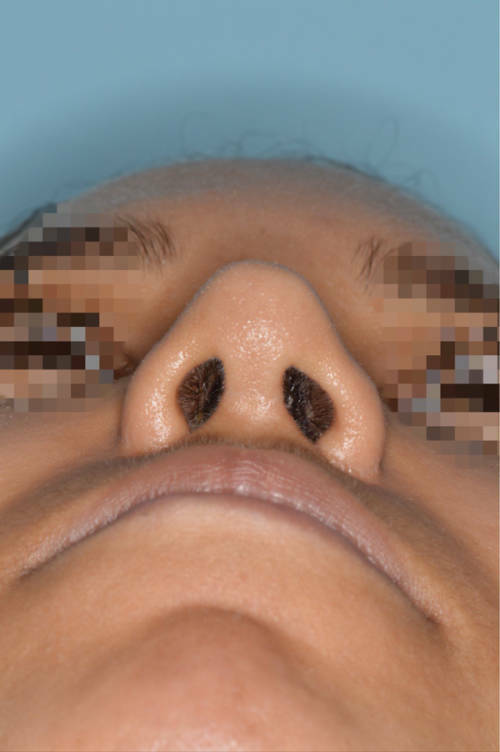 Open rhinoplasty techniques included nasal tip skin de-fatting, caudal septal extension graft, tip onlay grafts, and alar flare reductions. 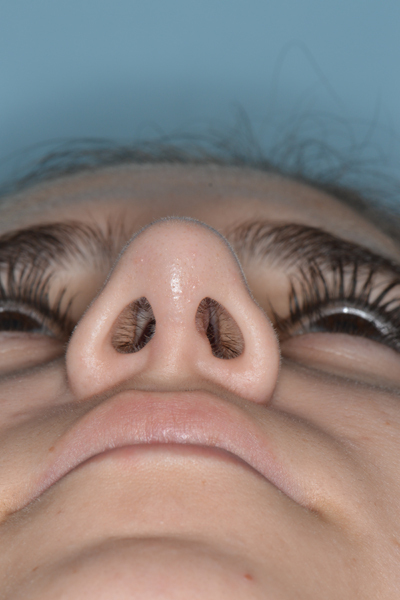 Base view shown to demonstrate the healing from the columellar incision and nasal base reduction incisions. 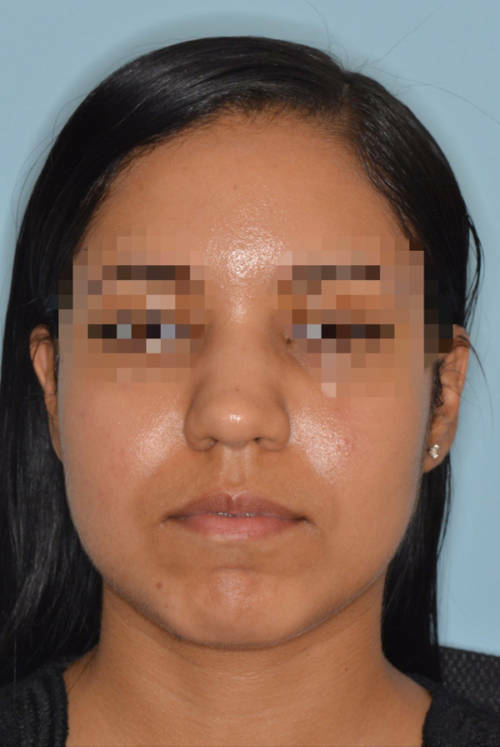 6 months post-operative results shown. 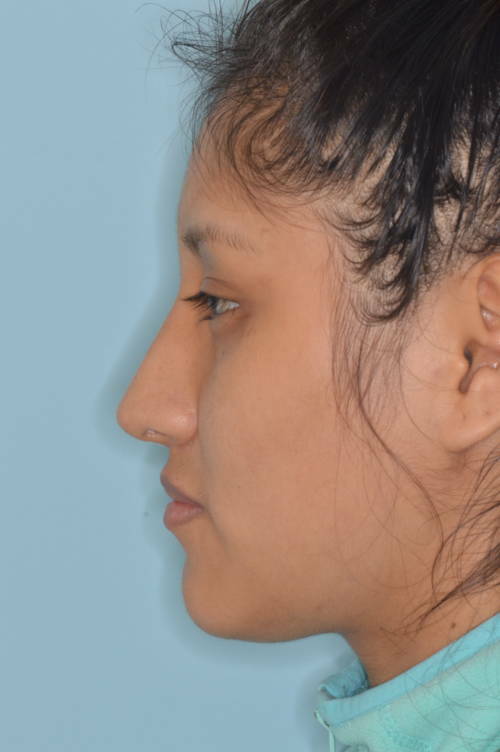 Female patient whose primary goal was to address her profile view. 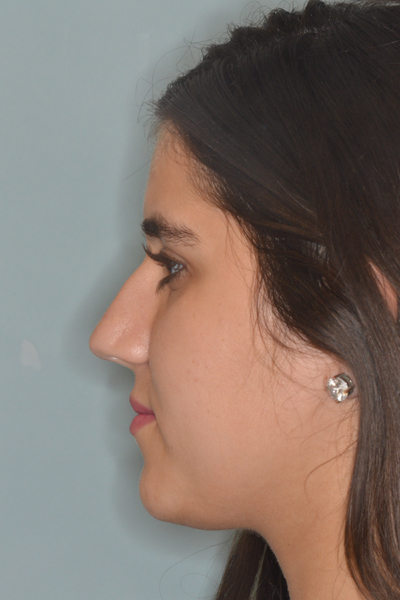 She desired to reduce her hump and expressed her preference to be a slight slope to the bridge on the profile. 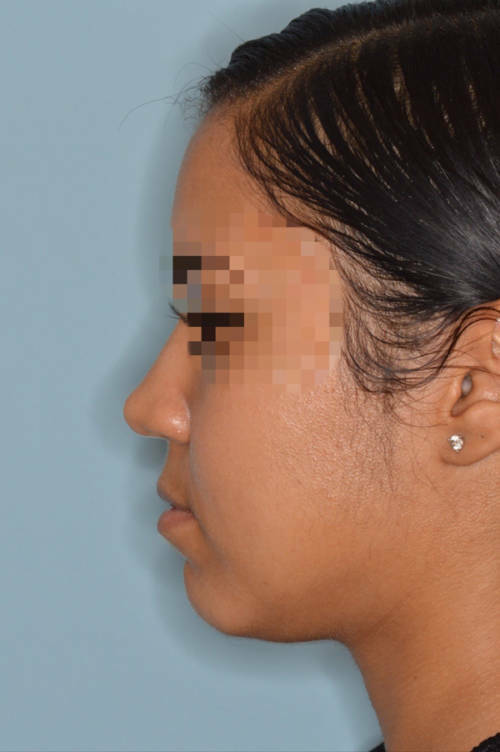 She desired minimal refinements to the frontal view. 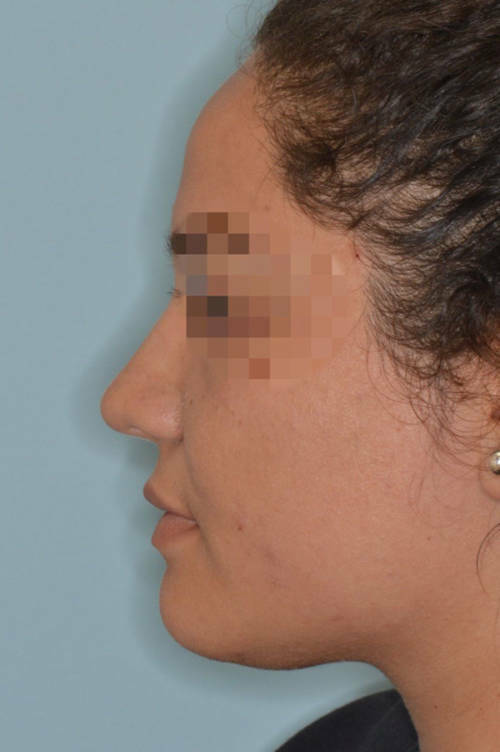 Primary rhinoplasty techniques included hump reduction, bilateral osteotomies, bilateral spreader grafts, caudal septal extension graft and tip onlay graft. 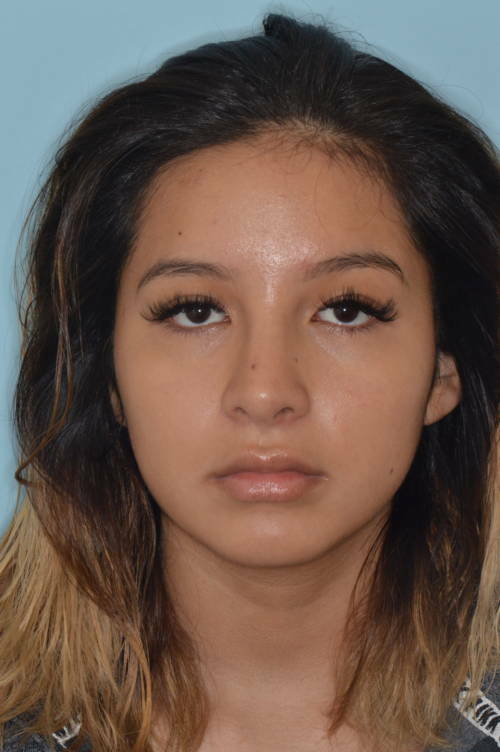 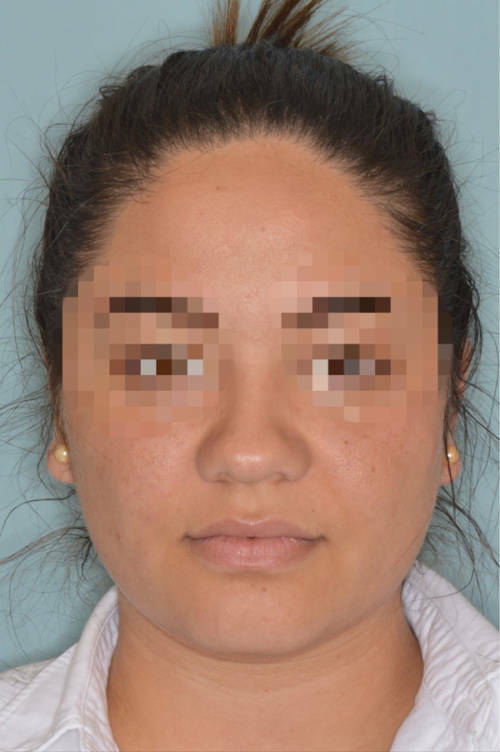 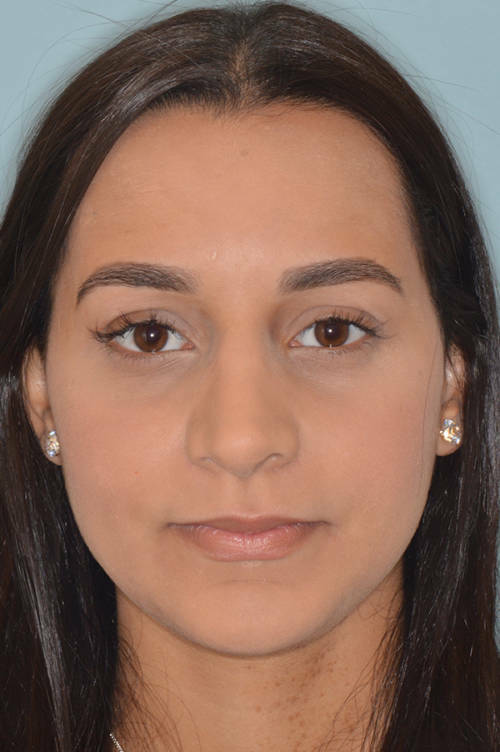 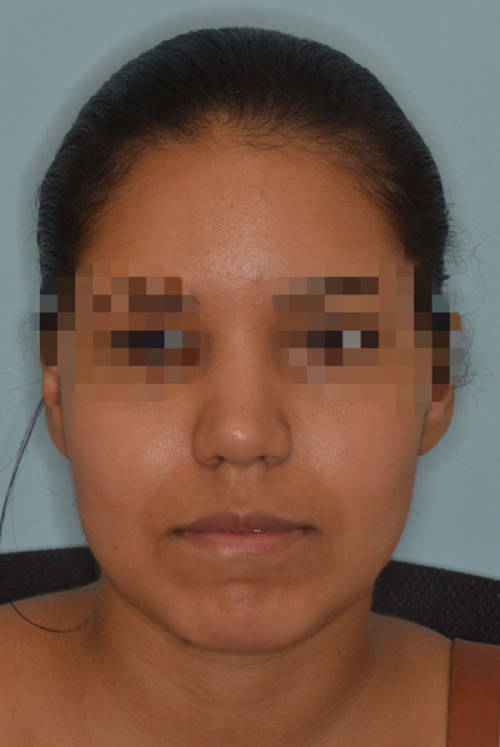 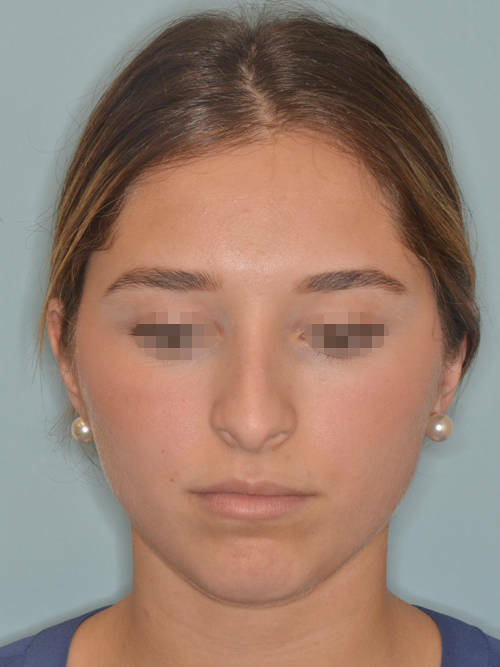 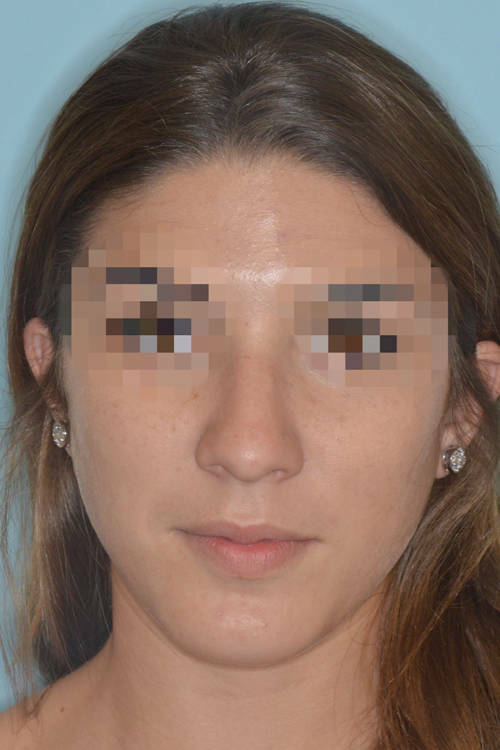 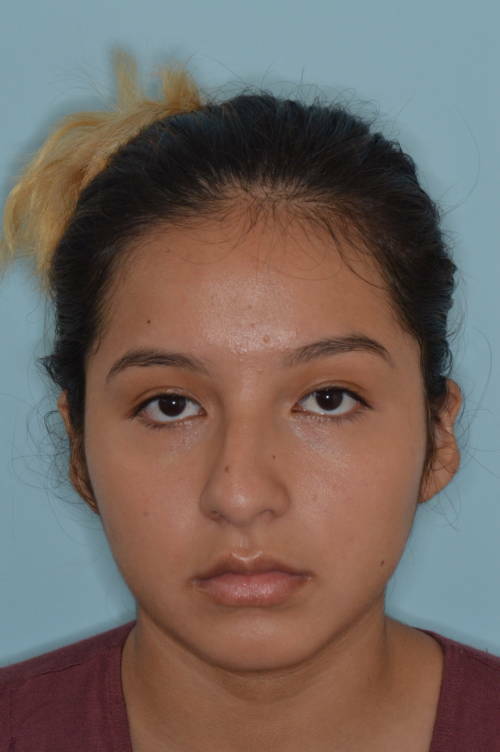 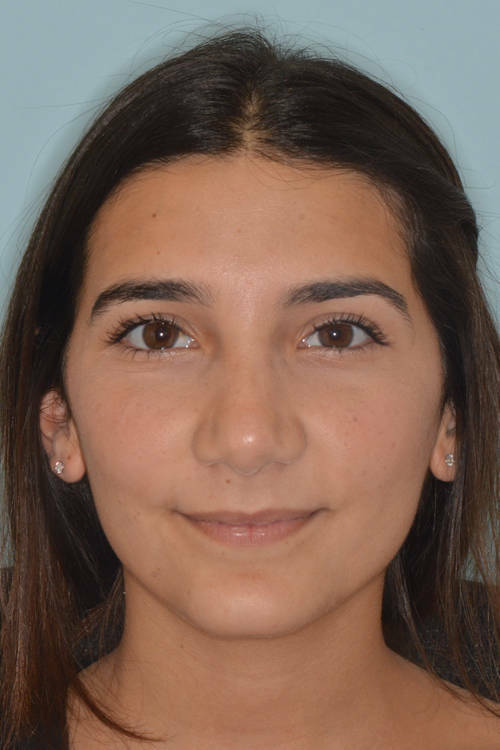 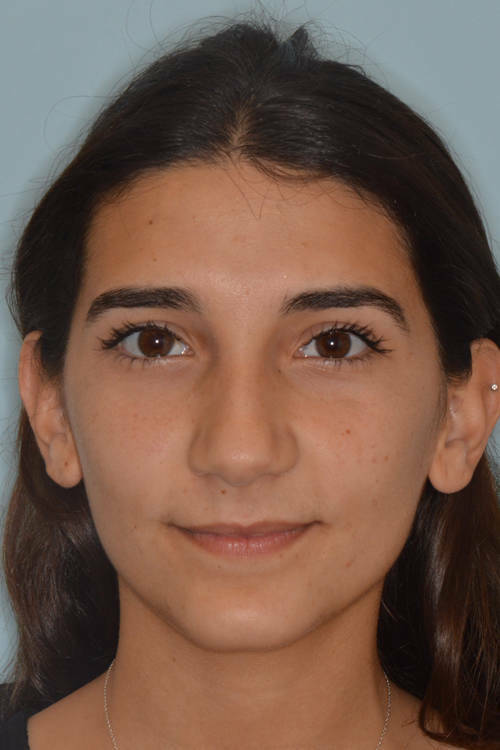 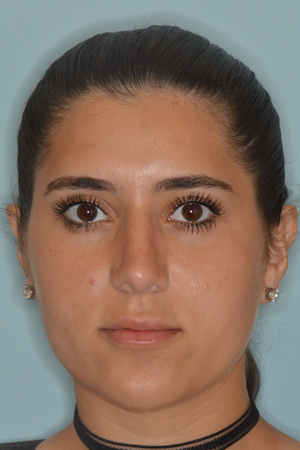 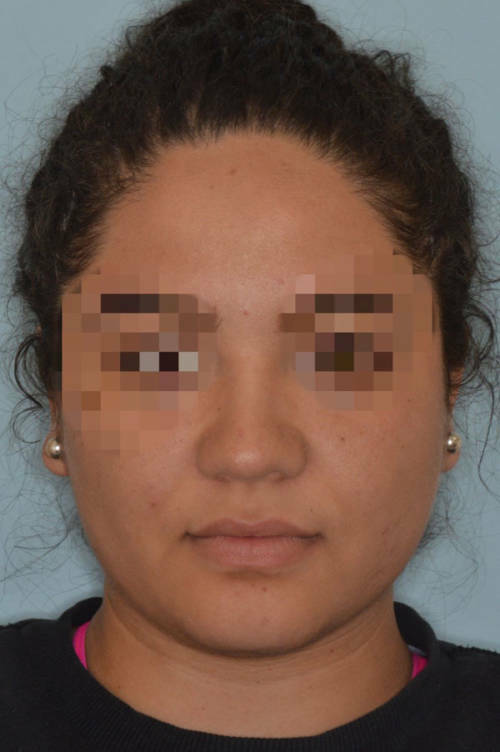 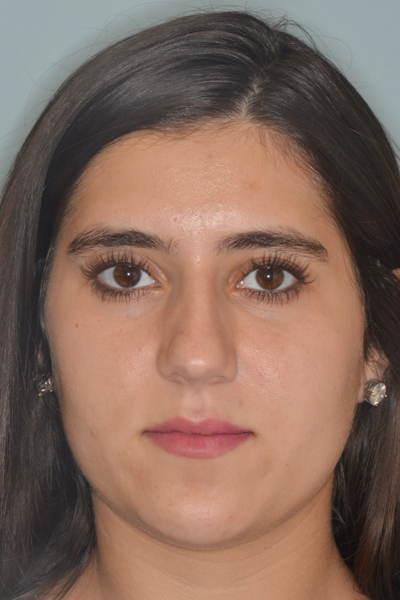 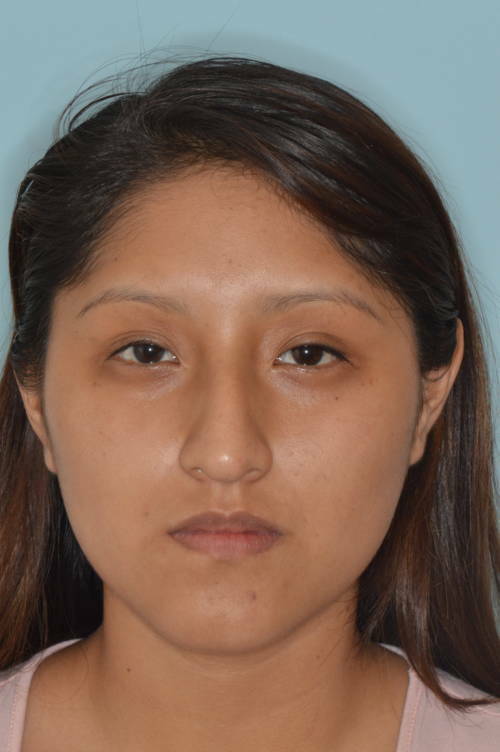 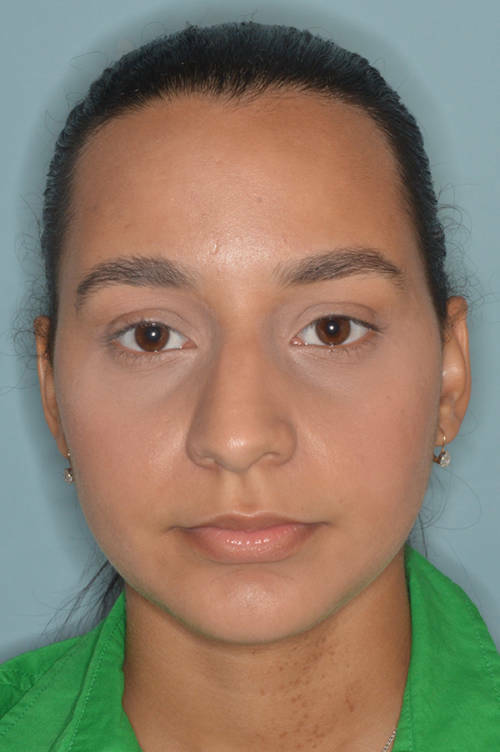 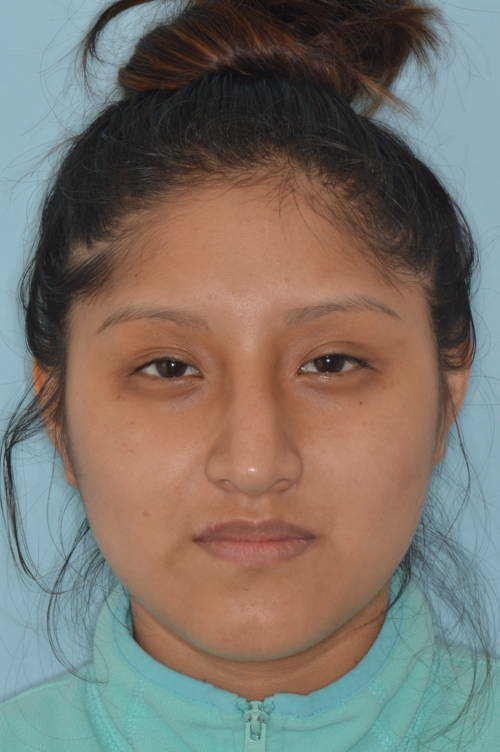 Female who desired nasal refinements to her bridge and tip. 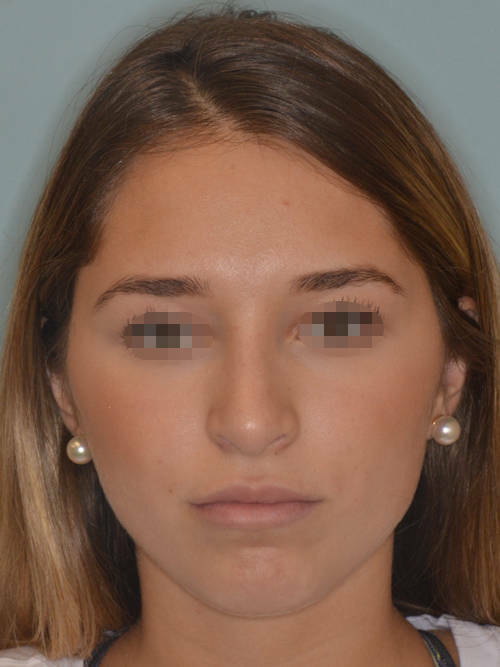 Her goals were narrowing of the bridge on the frontal view and refinement to the tip on the frontal view. 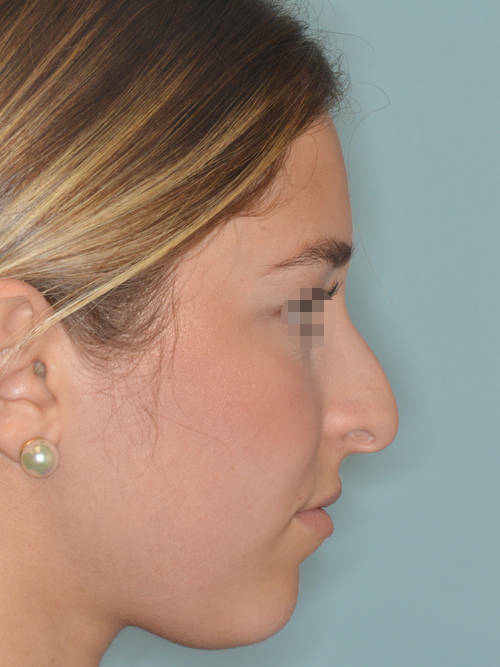 On her profile she desired to reduce the hump and the droopy tip. 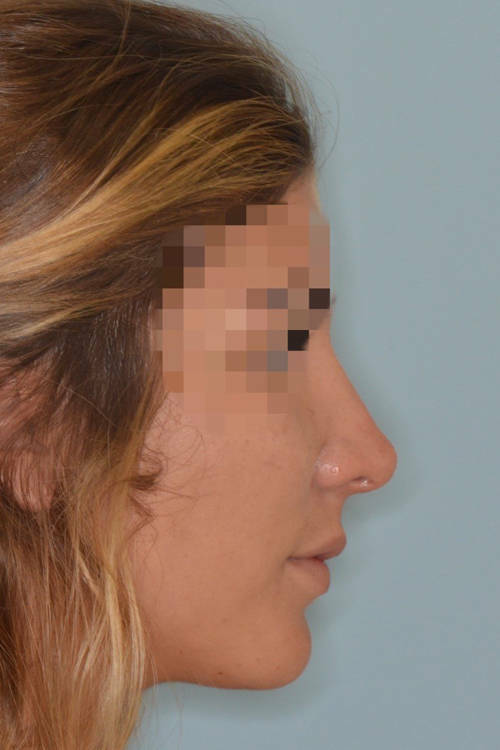 Open rhinoplasty techniques included osteotomies, bilateral spreader grafts, hump reduction, caudal septal extension graft, and tip onlay grafts. 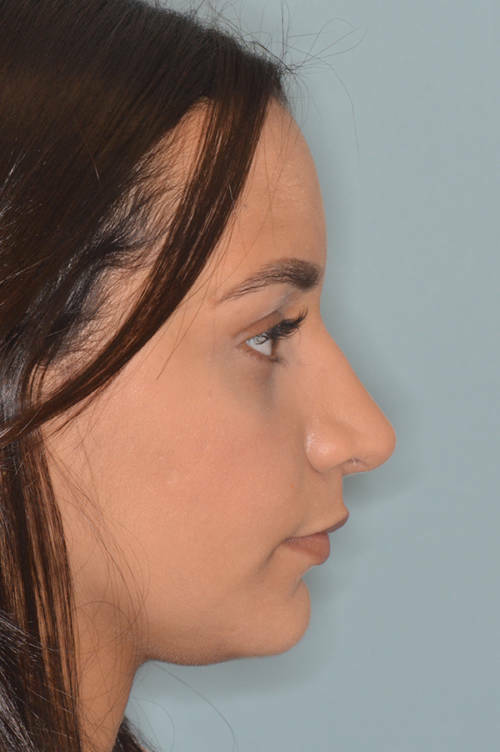 Before and after primary rhinoplasty for a patient who desired to reduce the length of her profile and refine her tip. 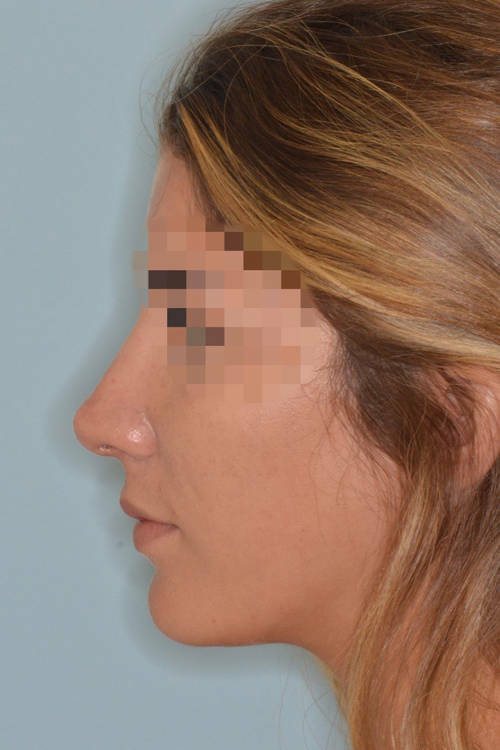 She desired to reduce her hump and the droopy appearance of her tip on the profile view. 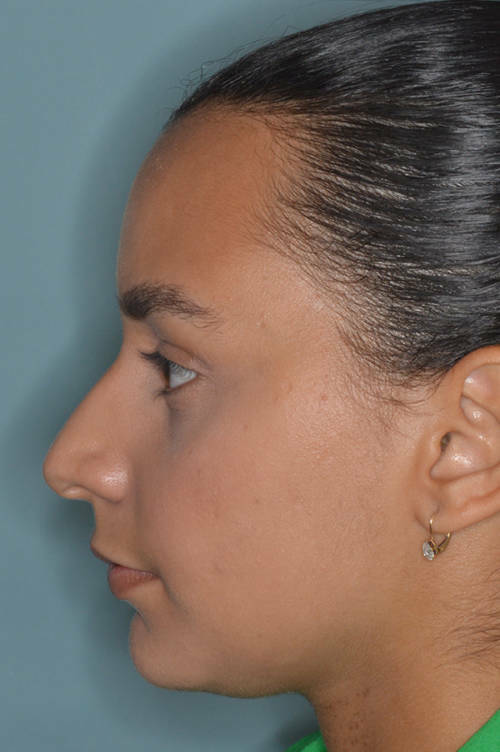 Primary rhinoplasty techniques included hump reduction, bilateral osteotomies, bilateral spreader grafts, septal extension graft, and alar rim grafts. 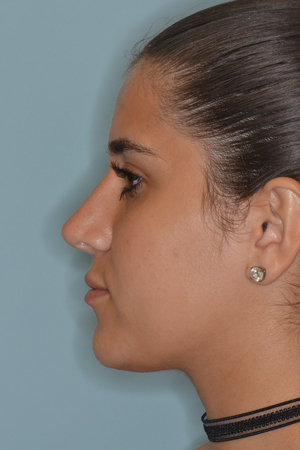 The columella was lengthened to improve the tip angle and the relationship between the alae and the columella. 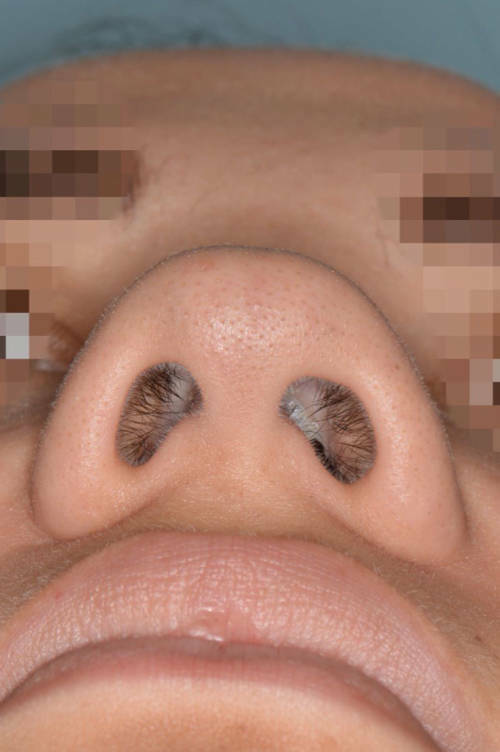 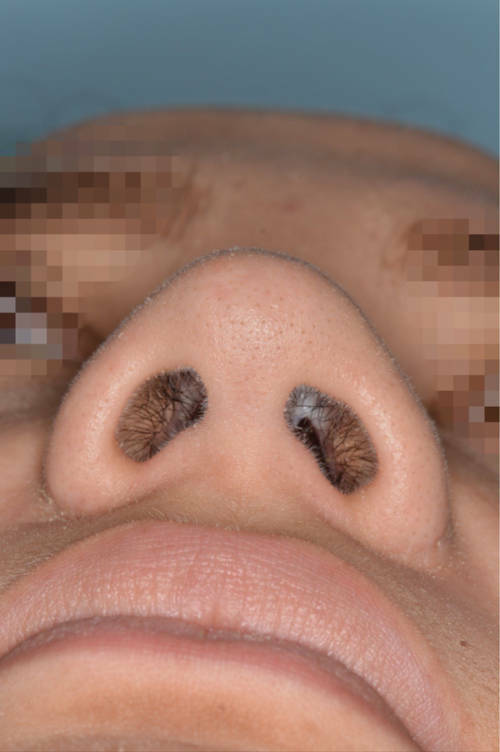 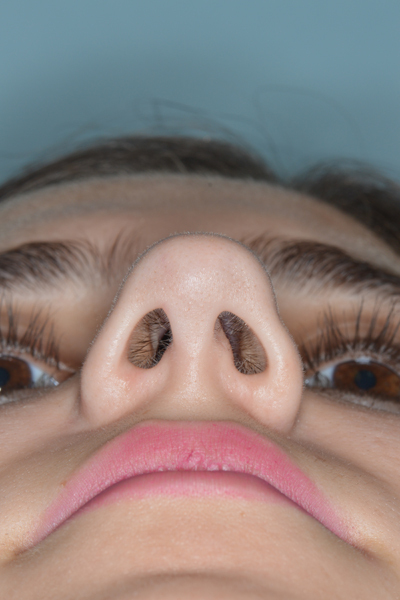 Prior to surgery she had what is referred to as a “hidden columella” where the nostrils hang below the level of the columella on the profile view. 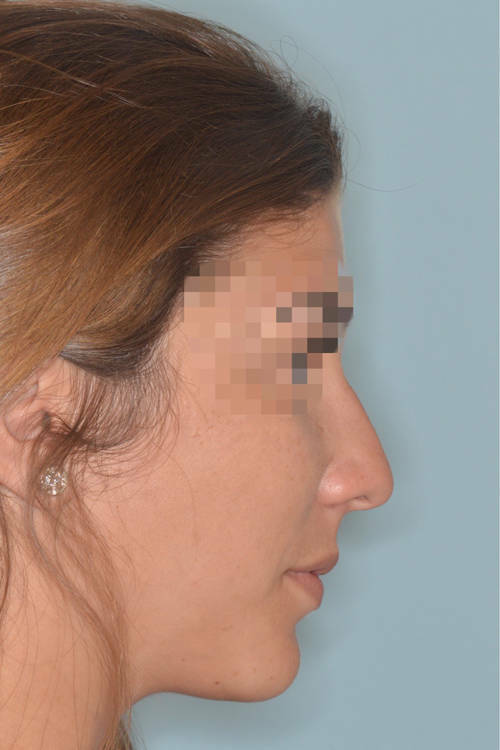 By lengthening the columella, the relation of the columella and the nostrils is improved which also addresses her concern of a droopy tip. 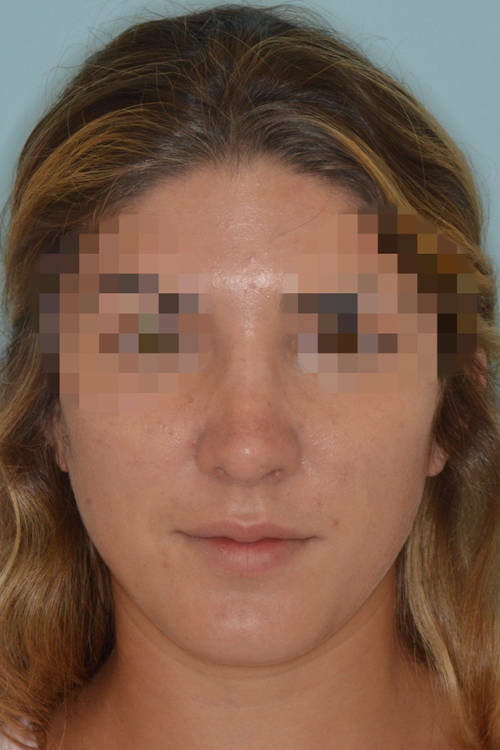 Seen here are her 10 month follow up photos. 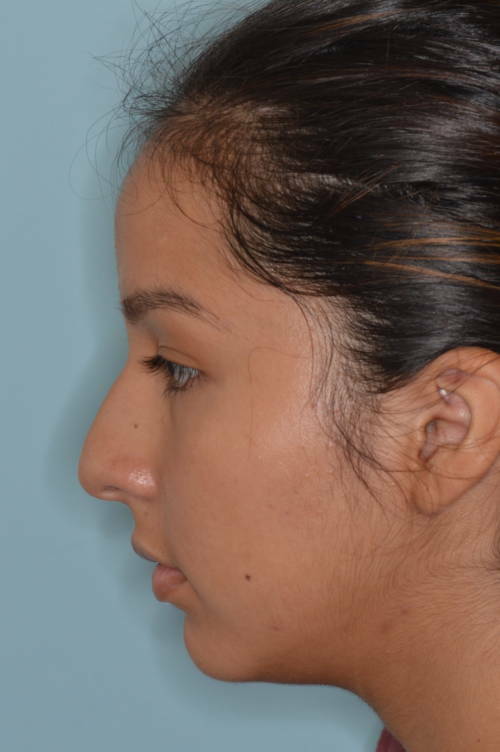 Female patient seeking refinement to her nose. 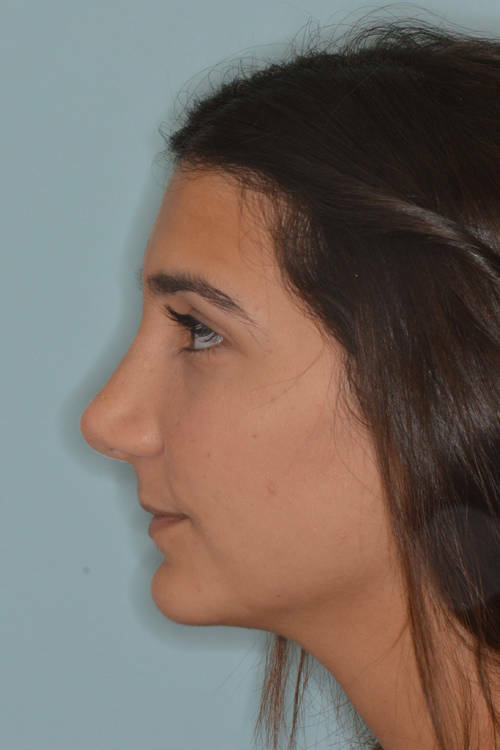 She was most bothered by the appearance of the profile of her nose. 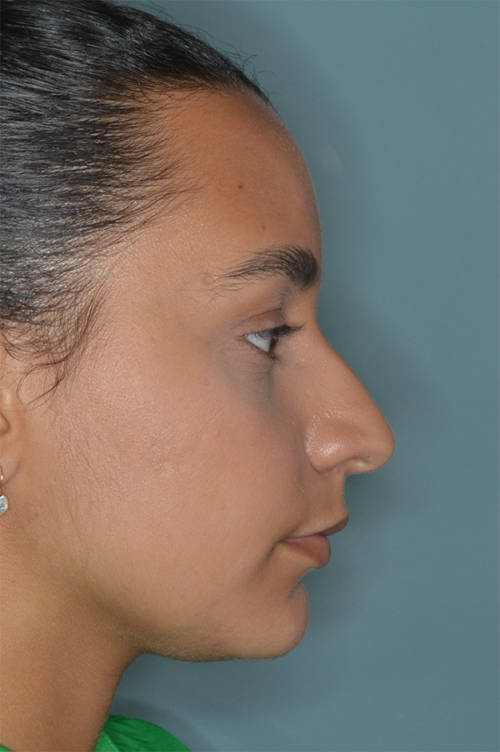 Primary rhinoplasty techniques utilized included bilateral osteotomies, hump reduction, soft tissue radix augmentation, caudal septal extension graft, tip de-fatting, and tip onlay graft.